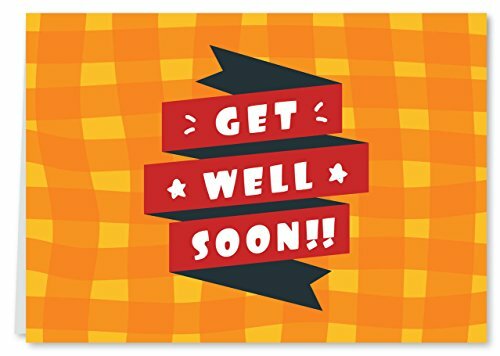 Flutterpost Premium Get Well Soon Greeting Card 'Red Ribbon' 7''x5'' Blank with Envelope (Gift Collection)@149 Rs [Mrp:-149] - Onlinedeals.discount - A leading product discovery and comparison website. Find the true prices of products, read reviews and buy top brand products at reasonable prices. Premium greeting cards exclusively designed by Flutterpost.com. 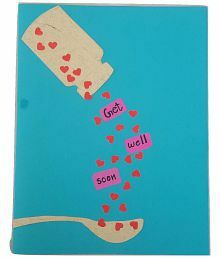 Blank inside to allow a handwritten message. Comes with 1 premium envelope with an elegant round gold sticker to seal the envelope. Size: 7 x 5 Inches, Weight: 25 gms, Material: Paper 230 GSM Premium Card Stock. Disclaimer: Colours may appear slightly different in the actual product. SEARCH “Flutterpost” ON AMAZON TO VIEW OUR ENTIRE COLLECTION!